1. 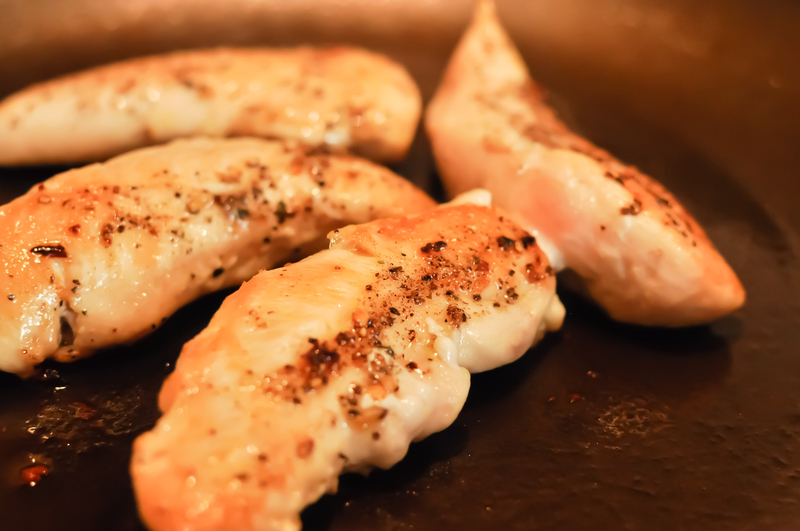 Sprinkle chicken with a bit of salt, garlic seasoning and pepper on each side. 2. Heat olive oil n a large saute pan over medium-high heat and brown the chicken on both sides, about 3-4 minutes, until almost cooked through. Set aside covered with foil. 3. Add a little more olive oil in the pan, and lower heat. Slowly saute garlic until golden brown, then add in kalamata olives, red peppers, capers, 1 1/2 tablespoons of parsley and dill. Add salt-free garlic herb seasoning and pepper. 4. Whisk together chicken broth and dijon mustard, and deglaze the pan. Squeeze in some lemon juice. Heat mustard broth with vegetable mixture until it thicken slightly, about 1 minute. You’ll need to add some mustard broth to the cannellini beans so make sure there’s a good amount left in the pan, if not, you can add more of the broth and mustard mixture. 5. Pour the cannellini beans in a small saucepan and ladle in some of the mustard broth. Cook on medium heat until warm. 6. Put the chicken back in the saute pan with the vegetable mixture and broth, so that all the flavors marry and juices soak up in chicken. Ladle vegetables and broth over the chicken. Season as needed. 7. Cover loosely with foil and cook on low for about 3-4, until cooked through. 8. 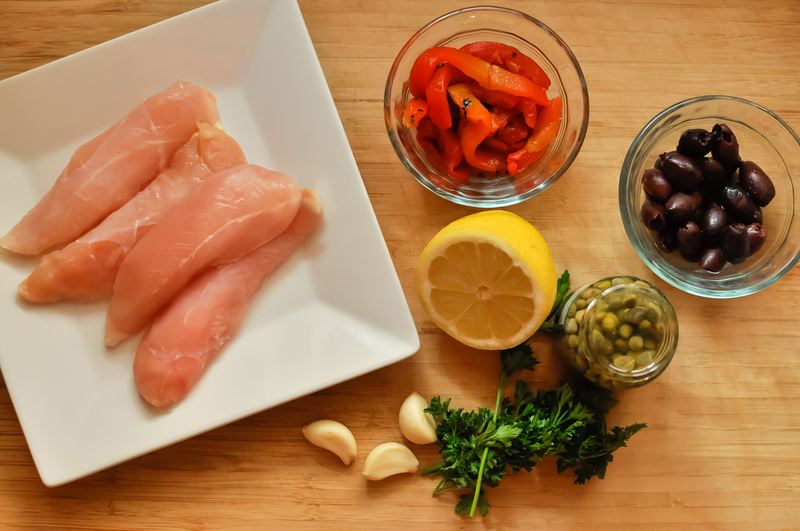 Serve chicken and vegetable mixture immediately over the cannellini beans and generously squeeze lemon on top. Sprinkle with 1/2 tablespoon of remaining parsley.